Trial size of for small treatment rooms. 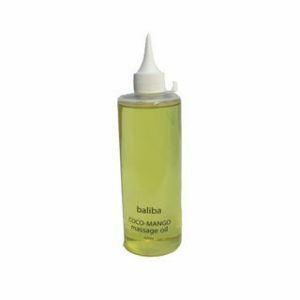 Baliba Massage Oil is a beautiful quality, with a range of amazing scents – a fabulous experience for both therapist and client. Enjoy! Massage Oil in a smaller bottle for easy use in treatment rooms. Available in a range of delicious scents – your clients will absolutely love these oils. Professional quality oils with plenty of slip, but won’t leave your linen marked.